The Big Apple had about 290 homicides in 2017, the lowest in 70 years, according to the New York Daily News. Some have even dubbed today’s NYC “the safest big city” in the US. 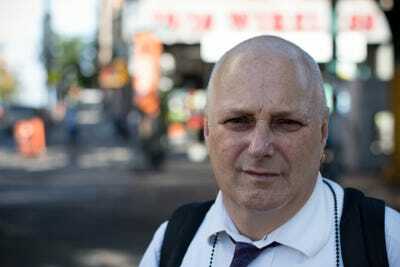 To get a better sense of what NYC’s streets are like these days, we spent three nights with NY Daily News crime reporter Kerry Burke, considered by many to be the best in the city. Burke, 55, reported from ground zero on 9/11, helped break the Eric Garner story, and was even on a few episodes of Bravo’s “Tabloid Wars” in 2006. He said he had been to roughly four shootings a week since he started the job 16 years ago. The first night we spent with Kerry passed with few incidents — perhaps a sign of the safer times. But the last two nights told a different story. Night 1: I met Burke in the Bronx while he was trying to find a man who had just been acquitted on murder charges. “How are ya, Mr. Brown?” he said in a Boston accent. Burke, who grew up in Boston’s Dorchester housing projects, was rather formal at first, but switched right away to “bro” or “brotha,” like he called almost every other guy I met with him. He filled me in on the details about the man he was looking for before we walked to the guy’s last known address. Residents in the building told him the man no longer lived there, so Burke asked people in other buildings and nearby stores whether they knew him. 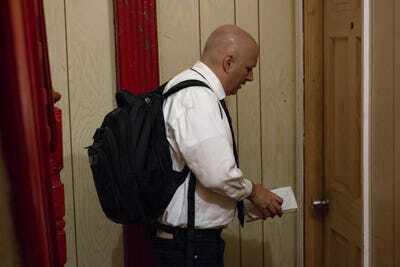 He walked into one unlocked neighboring apartment building and knocked on doors. Burke was adept at talking to and gaining the trust of all different sorts of people, and he stressed the importance of being polite. “Maybe it’s because I’m a troubled Catholic that I always say thank you,” Burke said, adding that he “might have to come back” to get more information too. After about an hour or so, Burke was able to get the man’s phone number but was unable to reach him. 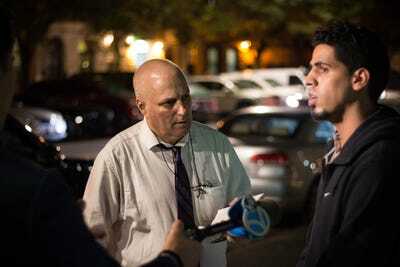 He later heard that a murder suspect was being questioned at the 32nd precinct and decided to go wait outside in the hopes of getting a statement when the suspect walked out. 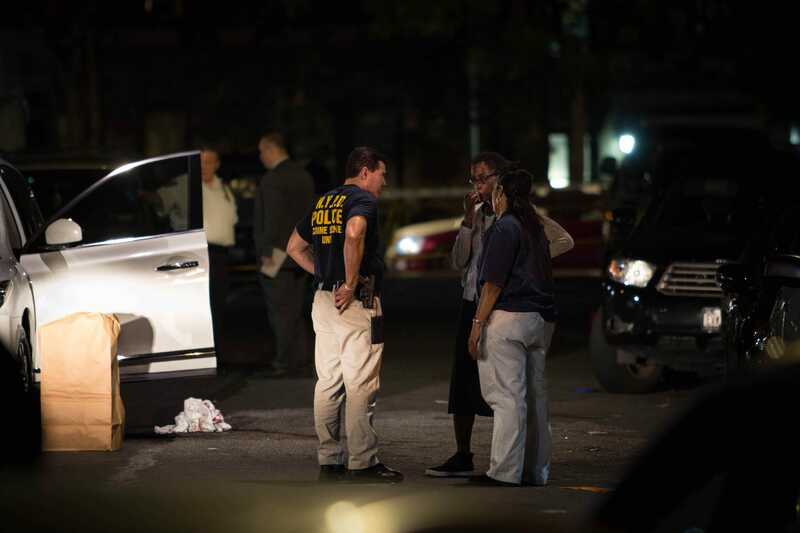 Around 11 p.m., the suspect’s cousin walked out of the precinct. Burke asked him a few questions but didn’t get much. Throughout the eight hours I spent with Burke that first night, there were no homicides and only one shooting — a man hit in the buttocks. The victim was immediately stabilized, and since the incident was not serious and happened more than an hour away from us, we didn’t go. I took the lack of homicides or serious shootings during Burke’s shift — especially given it was a Friday night — as a good sign. But it was only the first night.